Greetings! It has been a while since we posted an update on this blog. A few projects in progress and a few products going out kept us a little busy. But now we hope to provide regular updates. The Braille system [Link: Wikipedia on Braille] is a method that is widely used by blind people to read and write, and was the first digital form of writing. Braille was devised in 1825 by Louis Braille, a blind Frenchman. Each Braille character, or cell, is made up of six dot positions, arranged in a rectangle containing two columns of three dots each. The idea for this concept evolved by observing the training given to young blind children at a local blind school in Mysore. 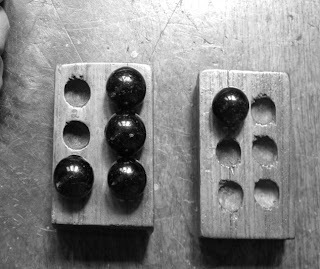 Conventionally blind children are given training using a wooden base plate with 6 slots and six marbles.Children who have not yet been introduced to braille are taught with this in a class where both the instructor and children are blind. Most of the time marbles get dropped and the children end up searching for them more than actually learning Braille. 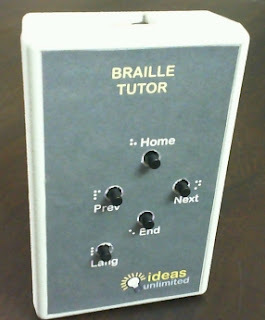 So this device was invented to help the training of blind students easy and faster. 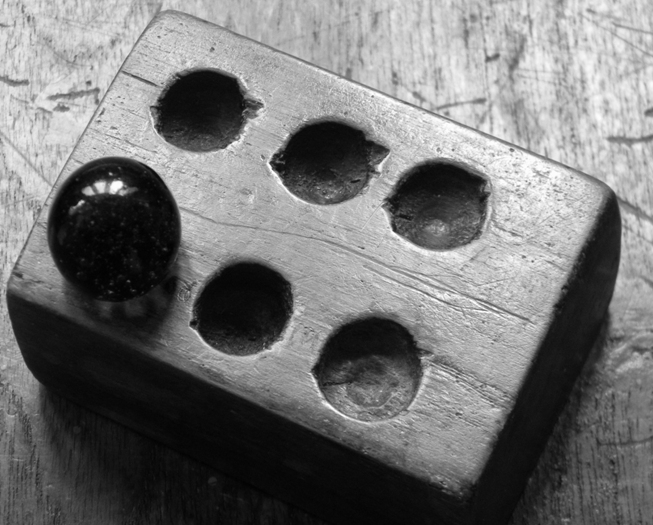 Number '1' shown in braille using conventional teaching methods. The first version just had loud beeps to indicate next and previous characters. This version actually has Voice to speak out the character being shown by the solenoids. The device spells "A" and then sets the solenoids to show 'A". 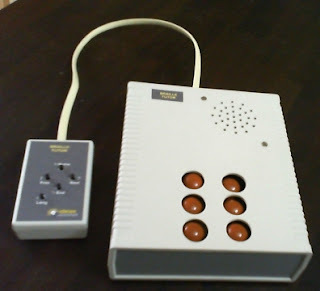 This device uses six micro-solenoids with wooden beads mounted on top to create a braille impression. The beads are large in size so that it compares to the training methodology used in Blind schools in India. Along with solenoids, the device also has an in-built speaker with sound playback capability! Recorded PCM Audio is played back for each character before the solenoids pop up to show a particular Braille Character. A simple and user-friendly remote has been designed to make one hand operation (left hand at that) possible while right hand is free to feel the braille character by the blind student. Remote provides following buttons for navigation. Language change (Supports Kannada, English, Numbers and Symbols as of now). Our next update on this blog will be on GeOS-1M GLONASS Navigation Module from Geostar Navigation Design Bureau - who have provided us with one sample GeOS-1 GLONASS module and dev kit for evalutation. 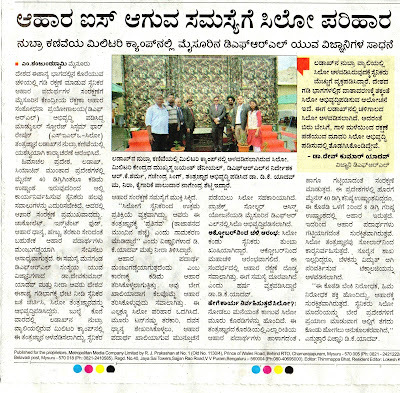 great nagendra! may be this should be informed to the blind schools, which would be of great help for them to teach. Nice Idea!! Go ahead Nagendra! !